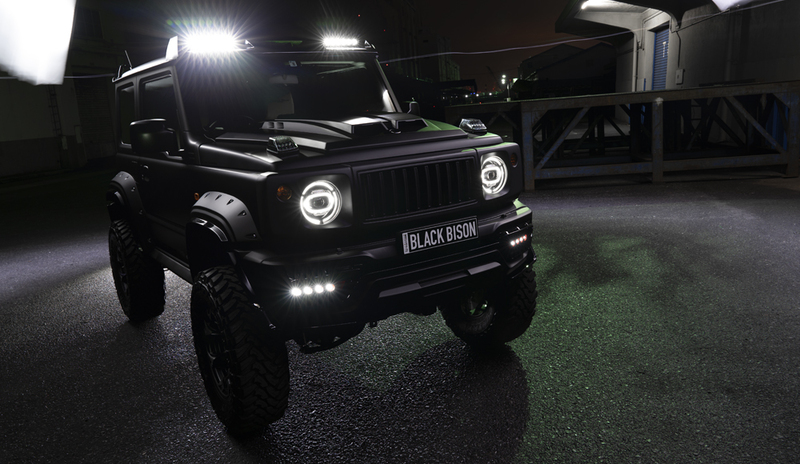 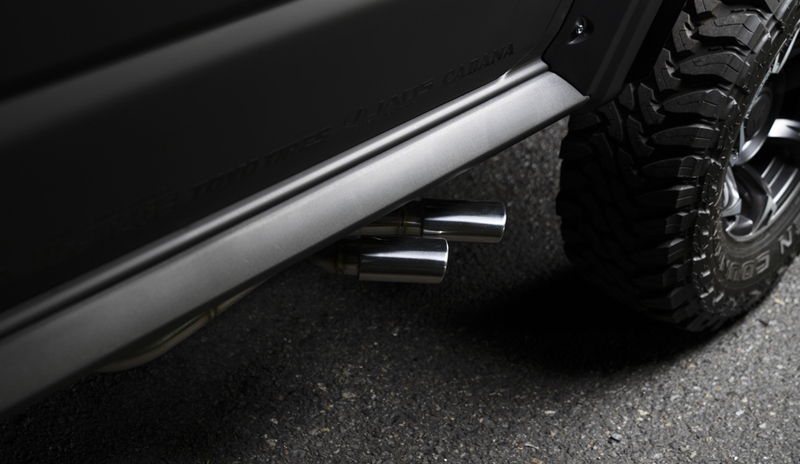 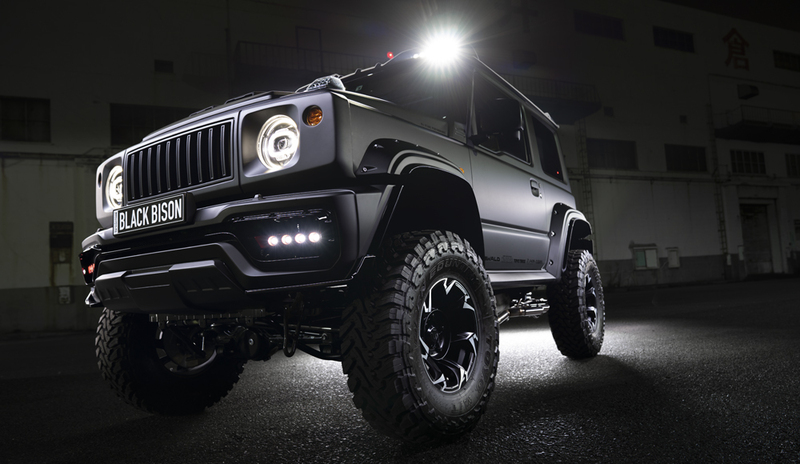 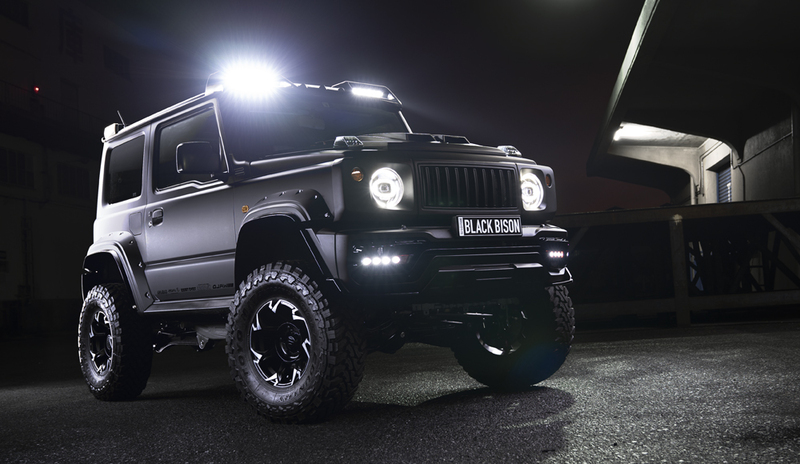 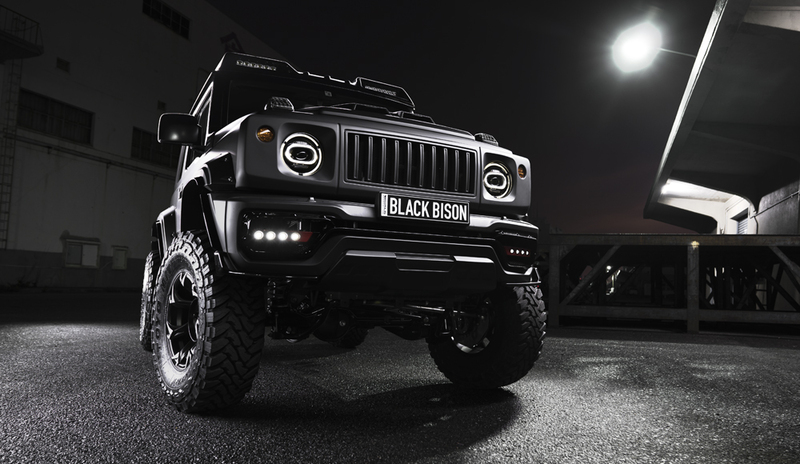 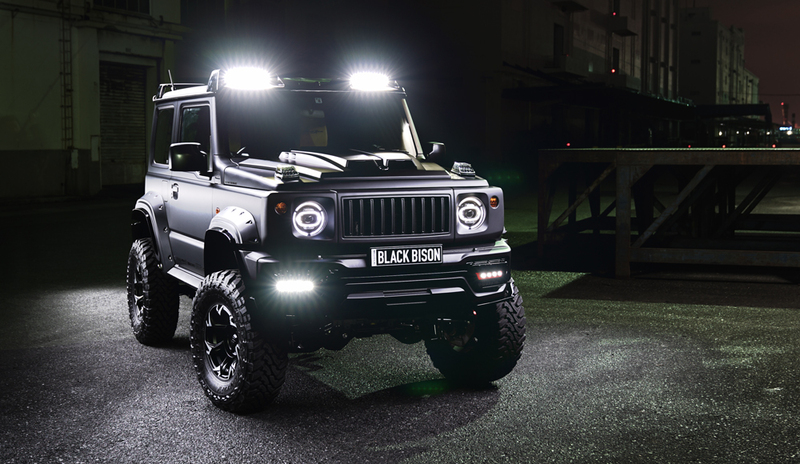 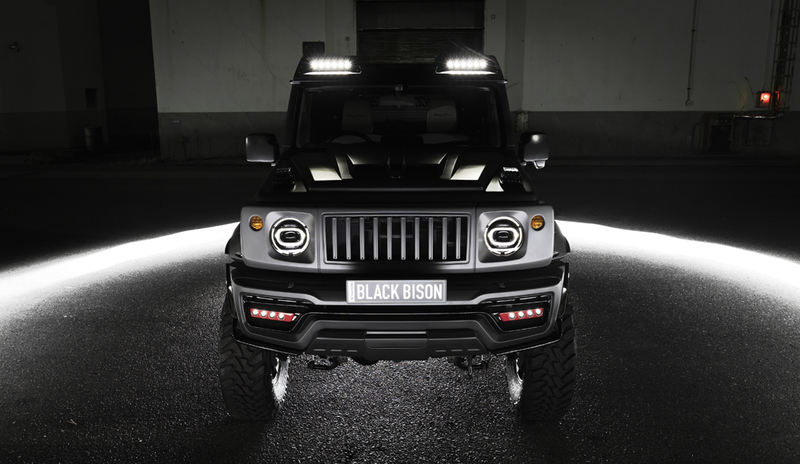 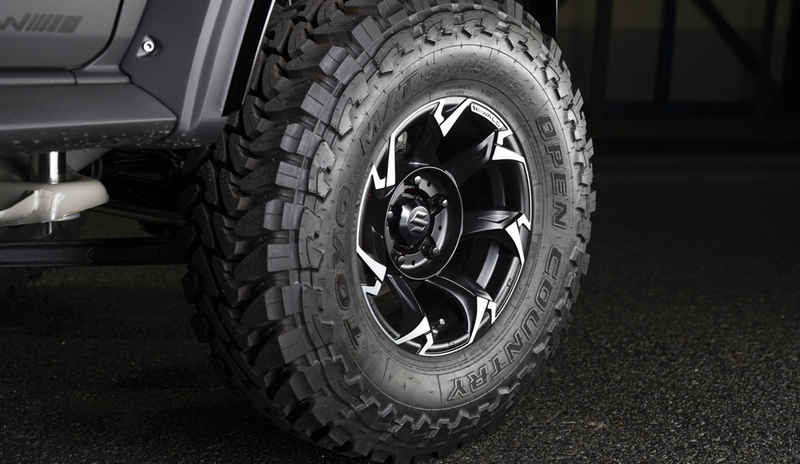 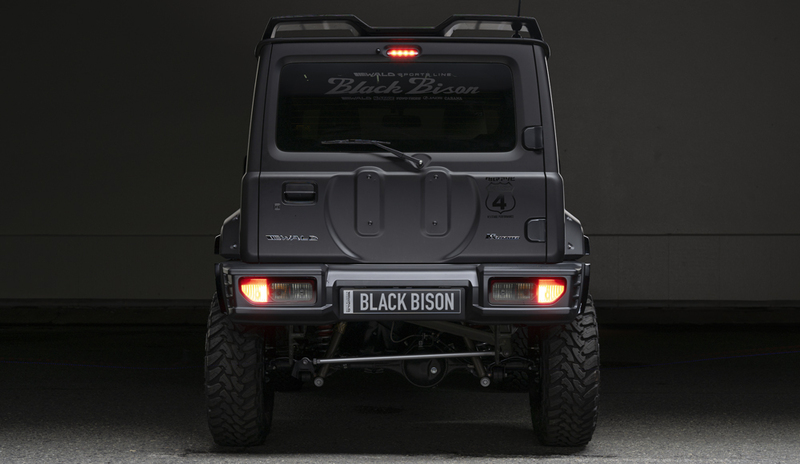 WALD gives a touch of BLACK BISON EDITION to the Big Demand Model, SUZUKI JIMNY, as known as the Light-Weight SUV in the market. 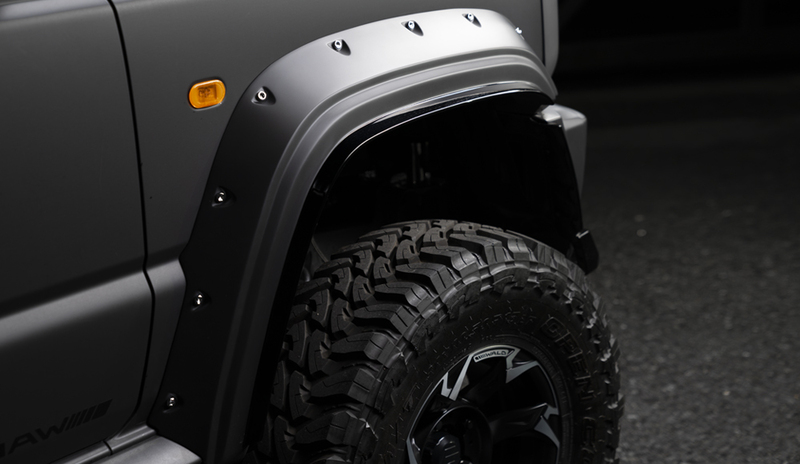 To create the volume on the body and for the aggressive size wheels and tires, the sense of unity is given with the Front Bumper arranged 4PC LED Lamp Units, the Over Fenders and the Rear Bumper Panel for the Exterior Modification Basement. 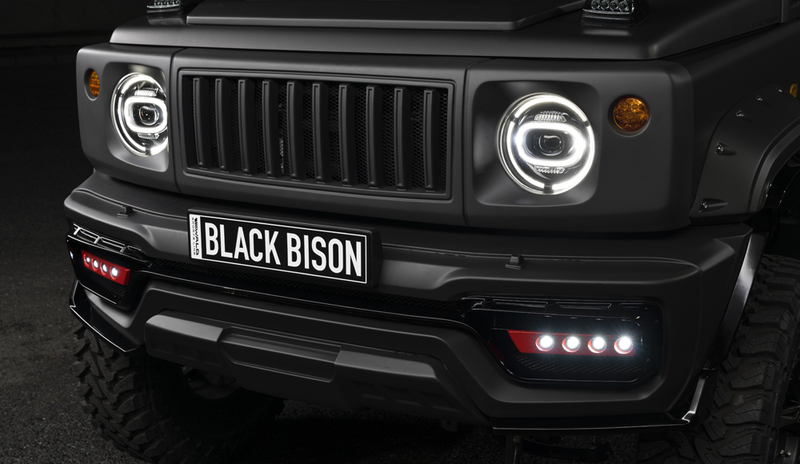 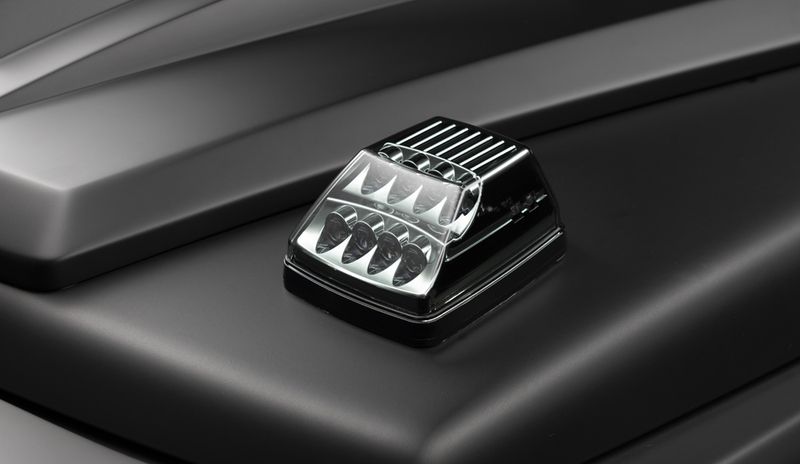 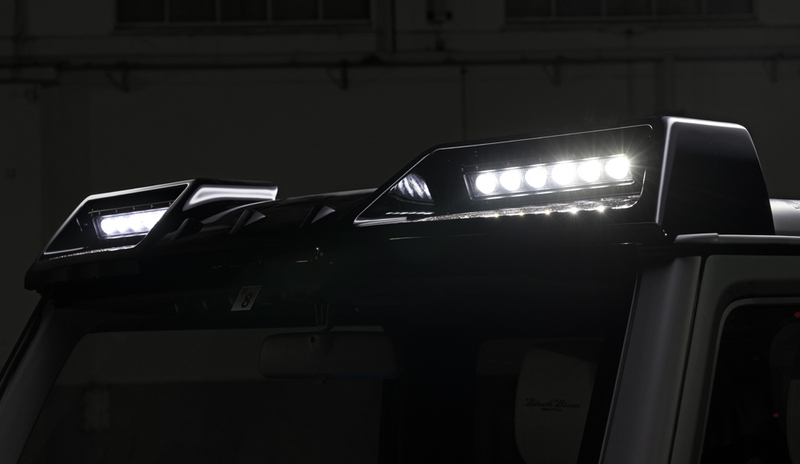 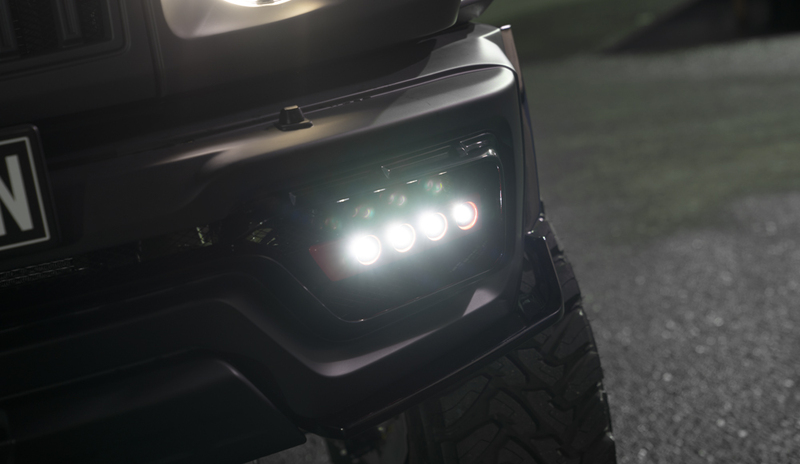 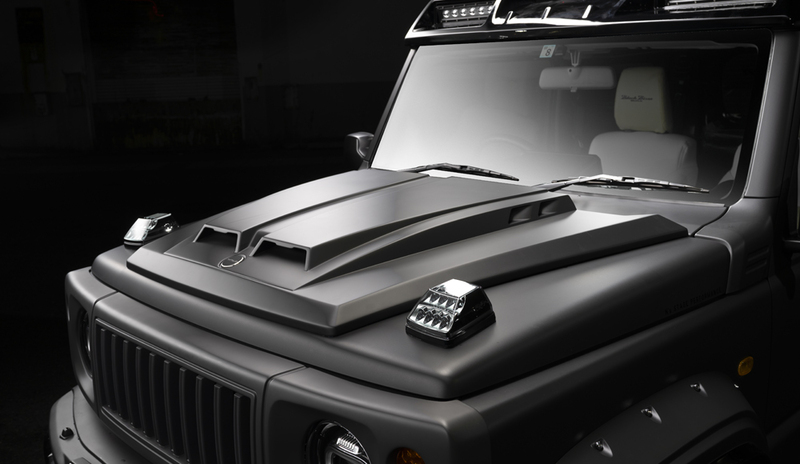 The Front Grille with Headlight Covers are designed as the 1 exterior part, and the Add-On Type Aero Bonnet transforms the Light-Weight SUV into the Aggressive Style 4WD Model. 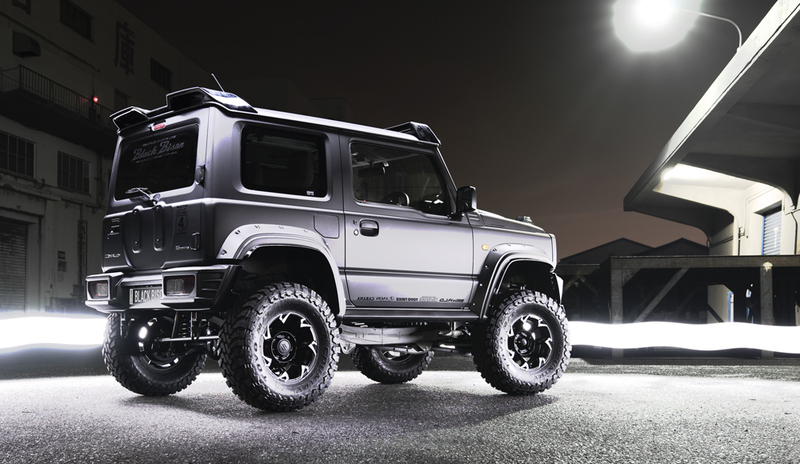 On the Roof Part, WALD developed the Roof LED Basement for Front and Rear Wing for the Rear End.